Dr. Robert Joseph, of New Zealand’s University of Waikato, is currently in the United States as a visiting Fulbright scholar. 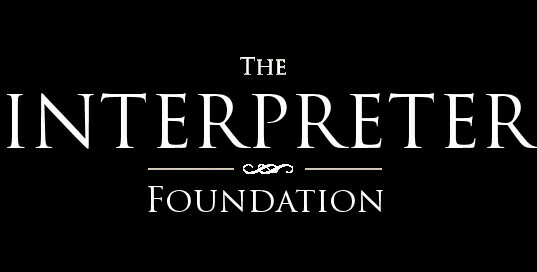 On 5 August 2017, he spoke to a group of volunteers, authors, and supporters assembled for the dinner hosted annually by the Interpreter Foundation—which happened, also, to be a celebration of Interpreter’s fifth birthday. In his remarks, Dr. Joseph addressed the subject of “Maori Responses to the Mormon Church.” With his kind permission and through the efforts of Tom Pittman and Russell Richins, we are pleased to make a video of his presentation available to a wider audience. Hey What about Tumuaki Matthew Cowely? Let us not forget his great stature. Kia n’guari. Kia Ora mo o korero mo to tatou iwi, Doc. I was so stoked to hear you mention Tumuaki Magleby and the great respect, that especially the people from my neck-of-the woods, Pipiwai/Kaikou, where the Eparaima Makapi marae stands, have of him. Also, thank you for your response to the question on how the decision of some leaders, post-war, impacted our people. I guess you would have had a more indepth discussion with the guy who asked the question after your presentation. I thought you answered that question very respectfully. Just wish you could have made a plug to have te reo added to the languages taught at MTC, even if only at the NZ MTC if not Provo. It always saddens me when I see the languages listed and hello, kei hea to tātou reo? Perhaps one day, it will make a re-appearance. It was awesome when President Mendenhall was NZAM president a few years back. I loved how he always commenced his stake conference addresses in te reo, and not just for a minute or teo. He would speak like how my grand-parents spoke and it was so awesome to listen to him. Sadly, after he left, so did te reo … again! ???? Enjoy your sabbatical with your whānau. Nga mihi aroha. Really good listen and reminds me of some of the old stories that our Kaumatua use to talk about. Even a nice surprise to see my family at 35:17 in. My Great Grandparents, grandfather and his siblings. Awesome Rob alot of fresh new scholarship is yet to come, That supports the message of the Restoration. The Whare Wananga is the key. I would appreciate seeing the entire slide deck. Is it possible to make that available? I would also love to read the diaries of Ephraim Magleby. Can Interpreter provide a link, either to the document, or perhaps forward my email address? Thanks so much for making this available. I loved it.